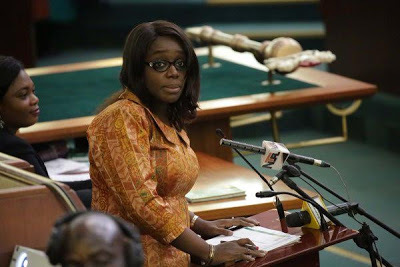 The Minister of Finance, Mrs Kemi Adeosun, on Thursday said that reduction in the cost and composition of government financing would drive incremental savings for the country. 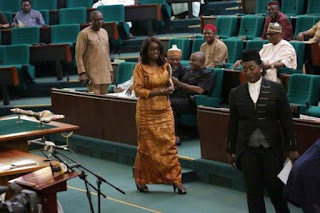 Adeosun made the assertion at the Sectoral debate organised by the House of Representatives in Abuja. The minister stated that there was a projected budget deficit of N2.2 trillion in 2016, which represented 2.2 per cent of GDP. She added that N1.8 trillion borrowing would be structured to achieve cost effectiveness and acceptable debt sustainability ratios. According to her, between four billion to five billion dollars is to be raised from multiple external sources including multilateral agencies and export credit agencies. "Additional funds are to be raised from international capital markets and the balance of funds to be raised in domestic market. "We will use earnings from revenue-generating projects that are debt financed to service debt,' she said. Adeosun further said that Nigeria targeted increased capital spending to drive long-term growth. According to her, this would lead to substantial increase in gross capital formation and also enable industrialisation and increase business competitiveness. She also said that this would accelerate GDP growth towards recent average of six per cent. The minster also added that the step would create jobs, wealth and rise in household capital income.